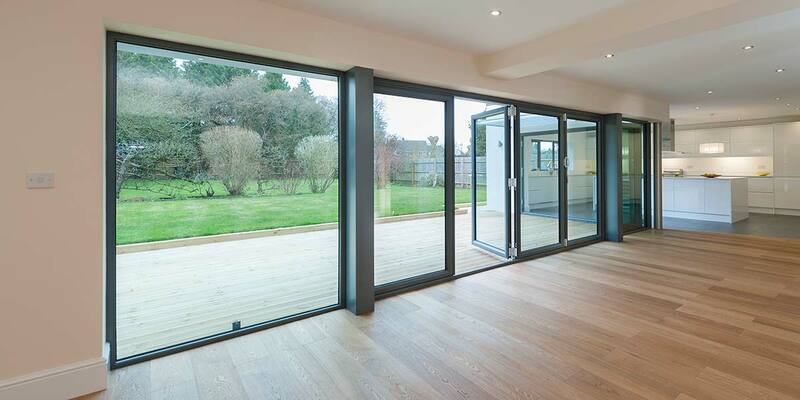 Anyone who falls for the brilliance of bi-folding doors really falls for them. 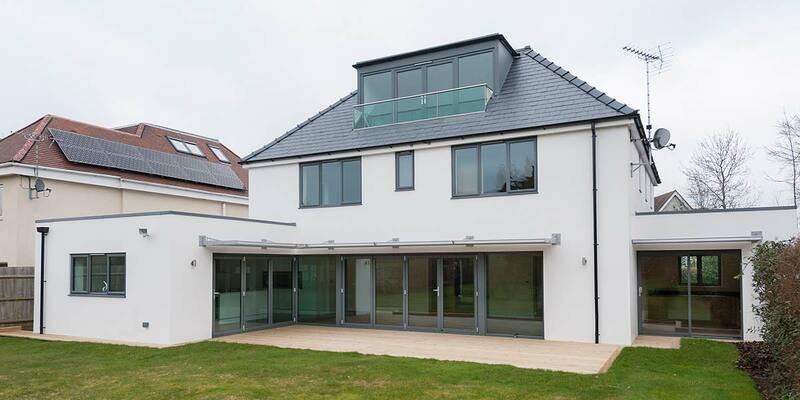 You can forever fold and slide in and out in style. 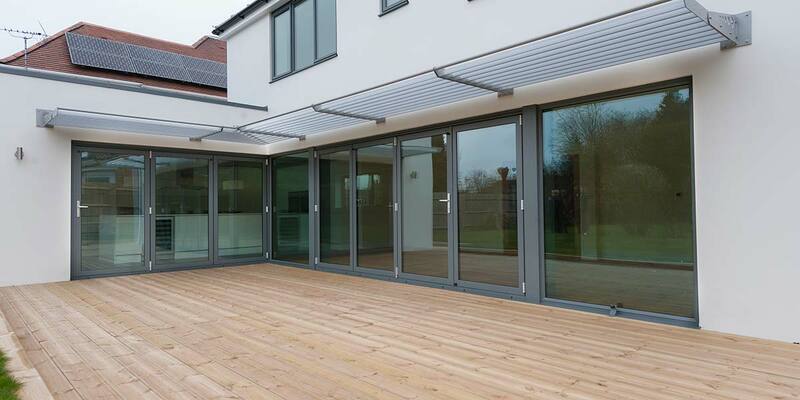 Aluminium is one of the toughest building materials you will ever come across, making it so remarkable how flexible it is and how easy it is to manoeuvre when utilised to create bi-folding doors. 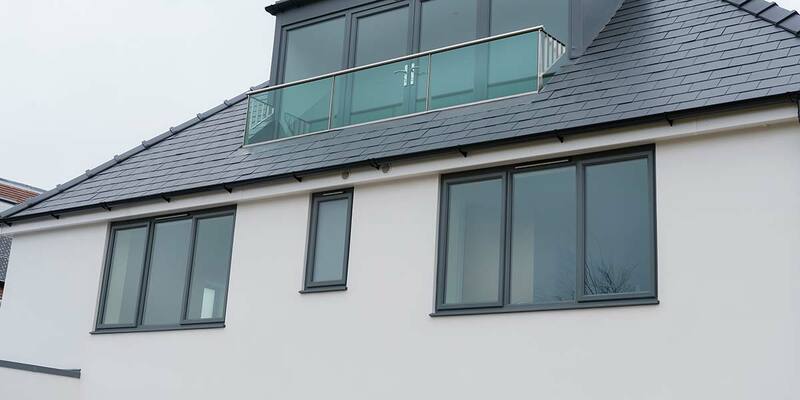 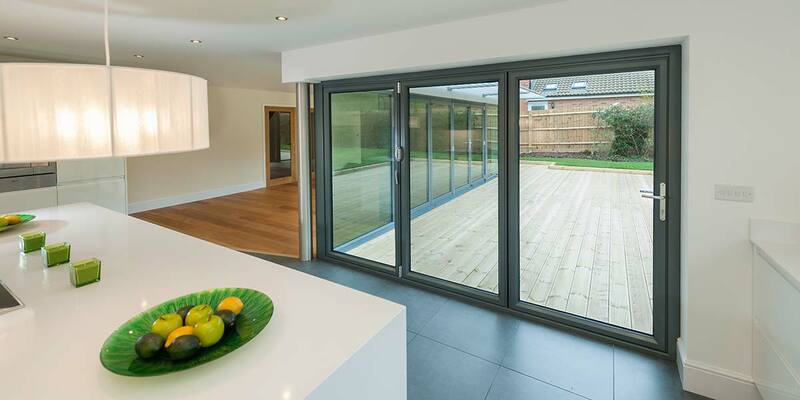 An aluminium bi-folding door offers the sleekest of sightlines enabling it to accommodate giant glazed panes. 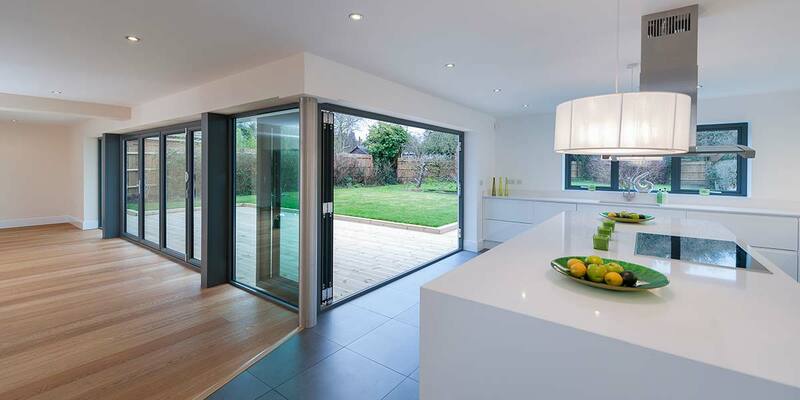 Few other door solutions contain so much glass which is why the bi-folding door appeals so much to the contemporary homeowner. 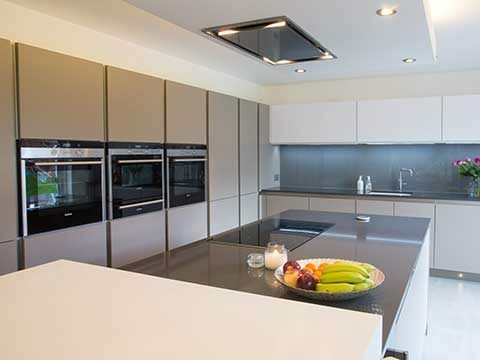 You can just imagine how much light travels through the design to hit living spaces. Almost everywhere you look in this house you will come across a set of bi-folding doors. 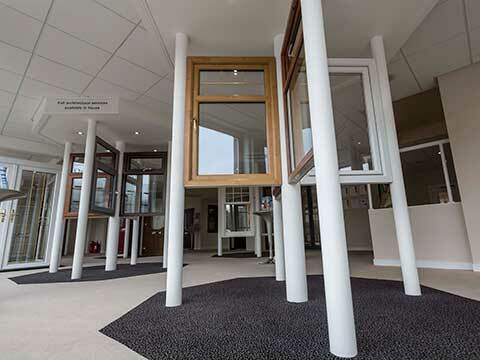 Two separate sides of the interior can now be opened to create a generous gap between the inside and outside. 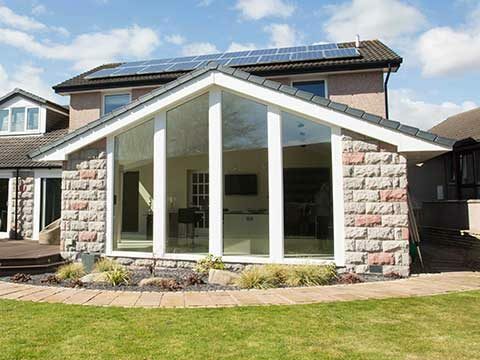 This will be perfect for those special occasions when the cooking takes place indoors but the food produced gets taken outdoors for alfresco dining. 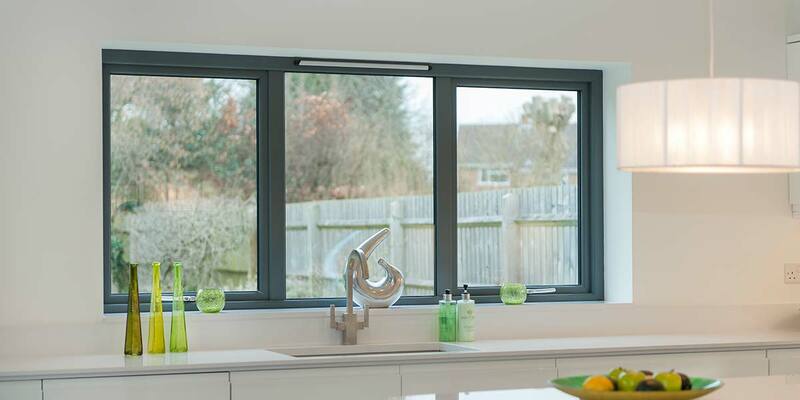 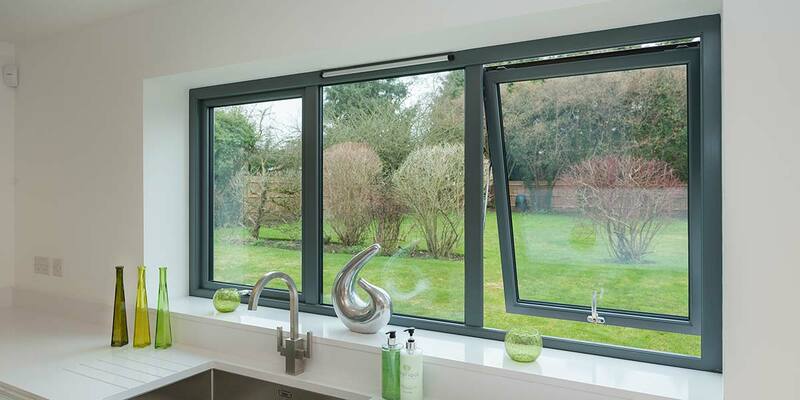 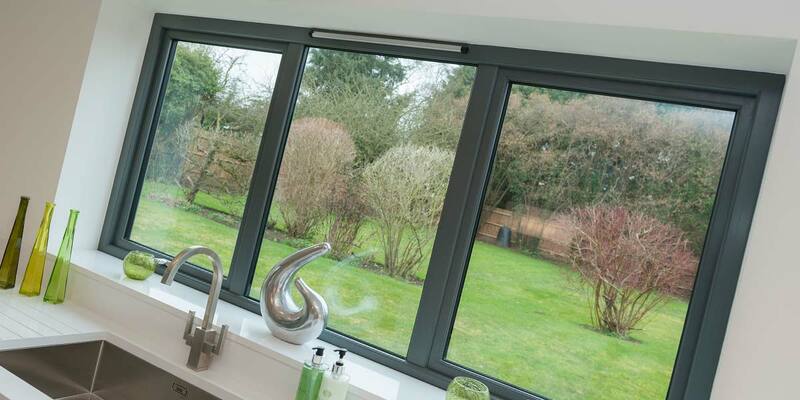 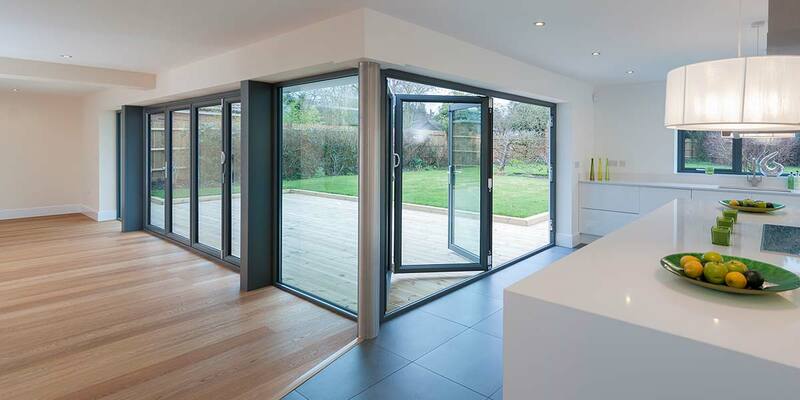 These bi-folds help to ventilate the house too, as do the bottom opening windows that can be pushed outwards from a closed position when unlocked. 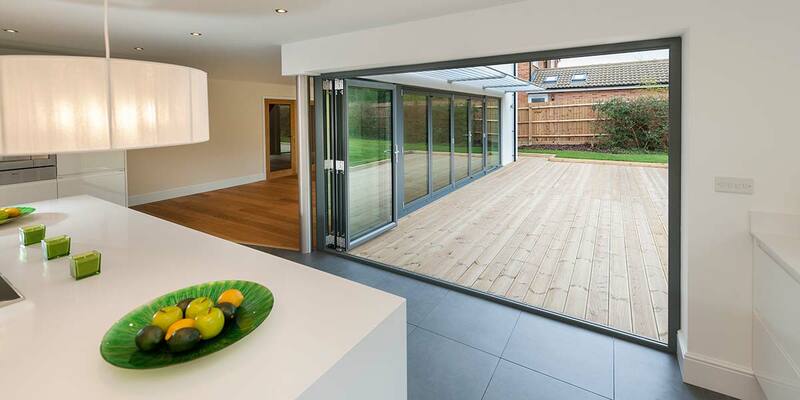 And bi-folding doors aren’t the only new door solution in the house. 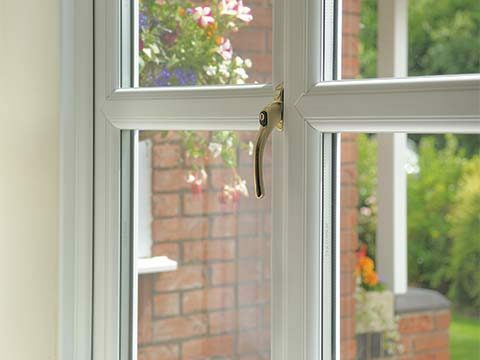 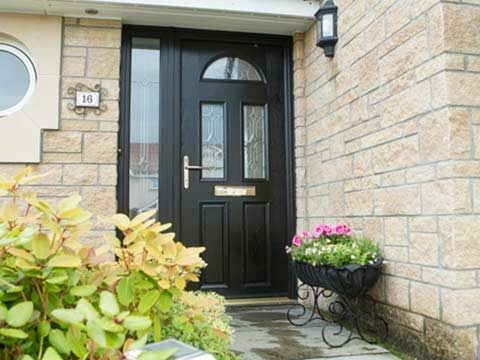 Patio doors and French doors have been welcomed into the fold as well. 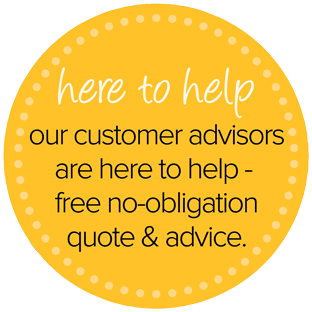 Get a free Priority Quote today!